In 1968, King was assassinated in Memphis, Tennessee. He went there to support the Memphis sanitation strike, taking an active role in street actions and mass meetings. On April 4, King was fatally shot by James Earl Ray at the Lorraine Motel. Today, the former motel building hosts the National Civil Rights Museum. Soon after King’s assassination, labor unions began a campaign for a federal holiday in his honor. In 1979, the bill to make his birthday a federal holiday came to a vote in the United States House of Representatives. However, it did not receive enough votes to pass. Its opponents argued that a paid holiday for federal employees would be a burden for the state budget, and that it would be highly unconventional to dedicate a federal holiday to a private citizen. The King Center didn’t give up and continued its efforts to gain support from the general public, the corporate community, and celebrities such as Stevie Wonder. Six million people signed a petition to Congress to pass the law. On the other hand, some Republican senators actively opposed the holiday, questioning King’s importance and even accusing him of having associations with communists. President Ronald Reagan was originally among those who opposed the holiday but finally changed his mind and signed a bill to create a federal holiday honoring Martin Luther King Jr. The bill was signed into law in 1983 and came into effect three years later. The inaugural Martin Luther King Jr. Day was celebrated on January 20, 1986. Although King was born on January 15, the holiday is celebrated around his birthday, on the third Monday in January, to create a long weekend. At first, some states were reluctant to observe the holiday at the state level, questioning whether King was worthy of such an honor. In some states, it was referred to as Civil Rights Day or Human Rights Day instead of naming the holiday after King. All 50 states officially observed the third Monday of January as Martin Luther King Jr. Day for the first time in 2000. 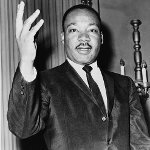 Utah was the last state to change the name to Martin Luther King Jr. Day, while South Carolina was the last state to recognize it as a paid holiday for all state employees. Private employers, however, don’t always give their employees the day off. As far as educational establishments are concerned, some are closed for classes, while others remain open but may hold special events in King’s honor. Some colleges and universities have chosen to extend their Christmas break to include MLK Day.